The Redwood Route has been carrying trains, cargo, and passengers since 1885, through the majestic setting of Mendocino County’s ancient redwood groves. Learn more about our history, and what makes us ‘the Skunk’. In the early 1880s, lumbermen C.R. Johnson, Calvin Stewart, and James Hunter joined together to expand timber operations in Mendocino County. By 1885 the Fort Bragg Railroad was formed to make transporting lumber easier. This would form the foundation of what would eventually become the California Western Railroad, more commonly known as The Skunk. The train played a vital role during this time in transporting families and workers who set up the various logging camps along the route and in doing so, became an entirely different type of line. It played an important part not only in the area's industrial life, but also in its social and cultural activities. No other logging railroad in America has made the deep impression on American life that was created by the line from Fort Bragg – first by the natural beauty of its route and later, by the distinctiveness of its equipment. At Sta. 1227, on right-of-way of the California Western Railroad & Nav. Co. The nickname “Skunk” originated in 1925, when motorcars were introduced (today sometimes referred to as railbuses or railcruisers). These single unit, self-propelled motorcars had gasoline-powered engines for power and pot-bellied stoves burning crude oil to keep the passengers warm. 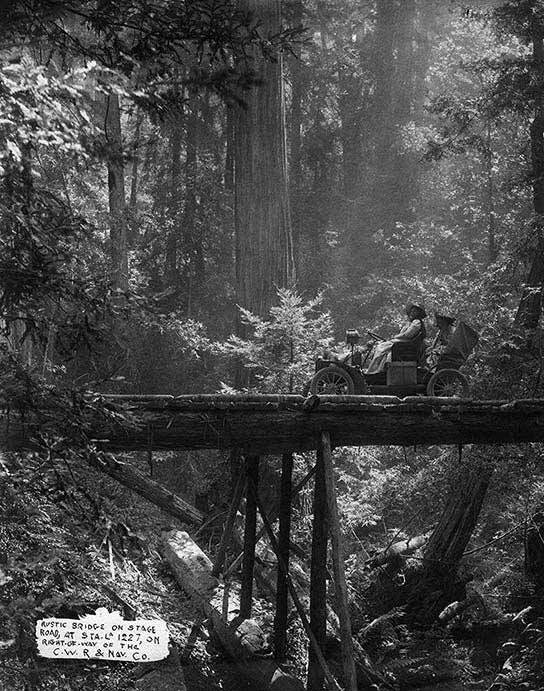 The combination of the fumes created a very pungent odor, and the old timers living along the line said these motorcars were like skunks, “You could smell them before you could see them.” Although the smell is now much reduced, we still like to think of ourselves as that little Skunk running through the redwoods. California Western Railroad was initially operated as a division of the Fort Bragg mill (Union Lumber Company, Boise-Cascade). In the mid-1960s, Arizona-based Kyle Railways began managing the railroad and purchased it in 1987. In August 1996, a group comprised entirely of local Mendocino Coast investors purchased California Western, marking the first time in its 111-year history that the line would be operated as an independent business. 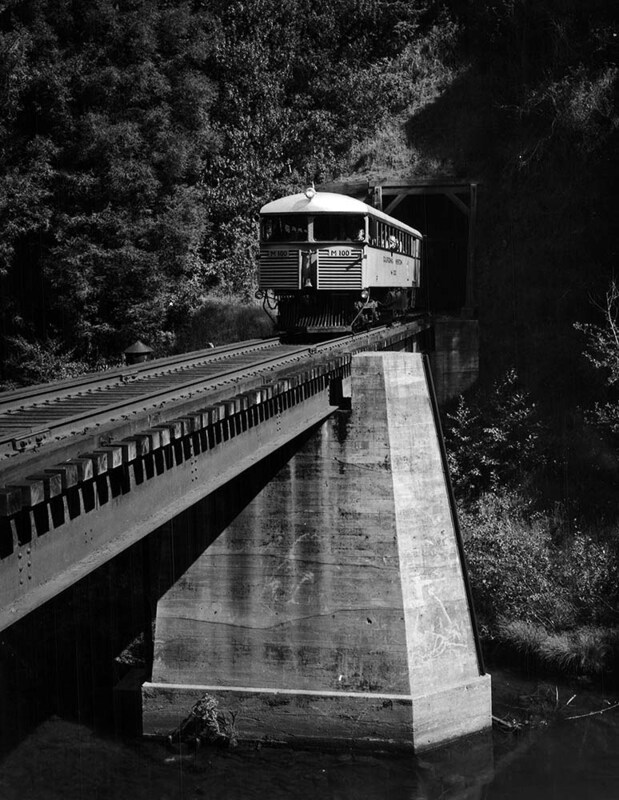 Today the Skunk Train is owned and operated by Mendocino Railway.